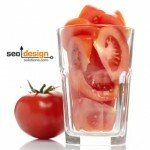 A website replete with authority often overlooks the magnitude of what becomes possible as the site as a whole evolves. It’s like groveling for peanuts when you could have steak instead. Don’t squander your SEO on less competitive keywords as a long-term SEO strategy. The vision, scope and depth of optimization must evolve as your website does, or you’ll end up with a pent up ranking juggernaut being pigeonholed to perform like an underachiever. It’s like having a dragster with bald tires on a rainy day, the combination of variables will not work in your favor. 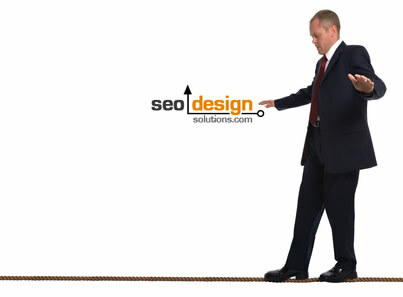 SEO is all about traction, and traction implies a depth of market penetration across multiple semantic nodes. The more keywords your website ranks for that have significant base levels of segmented traffic, the less dependent you become on any given keyword. Would you rather rank for 1 keyword or 100? 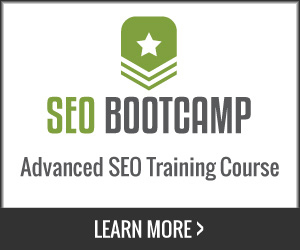 The SEO method to fine tune SEO rankings is what ultimately impacts ROI. Keep in mind that the only distinction between an authority site and an ordinary website is one has respect, lots of pages cached, a deep crawl rate from search engines with accommodating regard its premium content and the other has essentially hit a brick wall and reached an algorithmic plateau. I have seen this time and time again where a website that should be ranking for the main root phrase alone due to its stature is obsessed with one or two semi-competitive keywords and pecking away at low hanging fruit. This is not saying that low hanging fruit is a bad thing, “at the start of a campaign to get traction”, but to continually try to pigeonhole a website like a square peg fitting in a round hole and limit its growth is like giving away the farm only to get one crop. 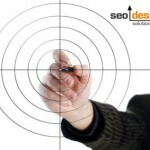 As your website authority grows, so should the keywords targeted for acquisition. Essentially, you could have planted an array of seeds from various species of several crops, but instead, you only wanted that one type of crop/ organic keyword. Nothing could be closer to SEO suicide than limiting your vision with blinders on by ignoring keywords that are also equally attainable. Squandering energy from not having a suitable outlet is the most common mistake. For example a website that uses a title tag for one specific broad category across every page is obviously trying to rank for that keyword. 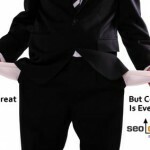 However, if the topic is not about that keyword on every page, then you have just created a semi penalty you may have to fix (as a result of vesting your focus too heavily on that one keyword) and cannibalized the rest of your sites ability to rank for “other equally lucrative keywords”. A title can make or break a page or a website since it is the first thing search engines look at to determine “what they should try to rank THAT PAGE for”. If you have the same title or partial title on each page, it should be a root phrase to produce enough diversity so that all of the keywords related to a specific niche are gaining a foothold and climbing the ladder in stature. This is where timing is everything, if you spend one year targeting one keyword or key phrase, but neglect targeting its stemmed variations, then you still have to start targeting those variations to lock them in. That is like wasting a year when you could have asynchronous results concurrently ranking, but instead, you have to start from scratch from lack of foresight. 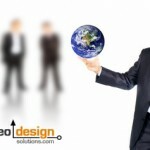 The takeaway here is about having sufficient segmentation of the site and allocating or consolidating enough resources to provide multiple overlapping semantic nodes and relevant pages which can be concentrated at a common goal. 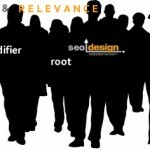 With the same amount of time you invested in trying to rank for the root phrase, you could have collectively racked up enough rankings from some of the most popular secondary keywords and key phrases with the most popular keyword modifiers such as [keyword] company, [keyword] services, etc. Not only does hedging your websites keywords and phrases make perfect sense from the perspective of business, but it allows you to find what the tipping point is for each respective keyword threshold as a result of implementing internal and external links. A domain with website authority will not require as many pages or links to rank for an exact match keyword, so, don’t squander your efforts only targeting the tip of the iceberg. If you haven’t already, segment your site by categories / subfolders. Define a champion page for each category (meaning all sub categories, accommodating products or services are sufficiently linked), then build links to that page. Manage the deep link percentages so that each major keyword is mapped out and you have a gradual increase in inbound link activity. After you have enough content in the silos, redirect that ranking intensity through contextual linking and tactful secondary navigation, images with alt attributes or mini site maps to funnel link flow to the right pages. Map each major keyword out over the course of a quarter, 20 posts for keyword A, 15 posts for keyword B, external links to champion page a, b, and c respectively in addition to 15 internal links each from other second tier pages in the sites hierarchy. Remaining complacent as your competition scales their assault is not a tangible strategy. Naturally, the higher caliber of editorial links your website can acquire to expedite trust, the better. But in the meantime, don’t wait around for authority to kick in by resting on your laurels. 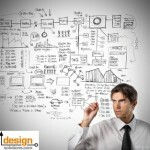 SEO is Great, But Conversion is Even Better! Nice post and insightful information. I keep using different keyword density and find success only when i just try to make good sense and not to worry about numbers. Following key principles of SEO in writing posts might bring you to first page of Google, lets see what makes people choose to click your blog and not the other. In the following image you can see how one of my previous posts, Do’s and Don’ts in Your First Month Blogging, appears in Google. If you open the post you can see it starts with the words “We all remember our first month blogging”, while Google present this teaser (”In this article…”) as a description for my post. Great reading this post..thanks a lot.Specially liked the part where you have mentioned about the keywords.